New faces of leadership in 2015: Who's in and who's out in the past year? Photo of Rick McKenney, courtesy of Unum. 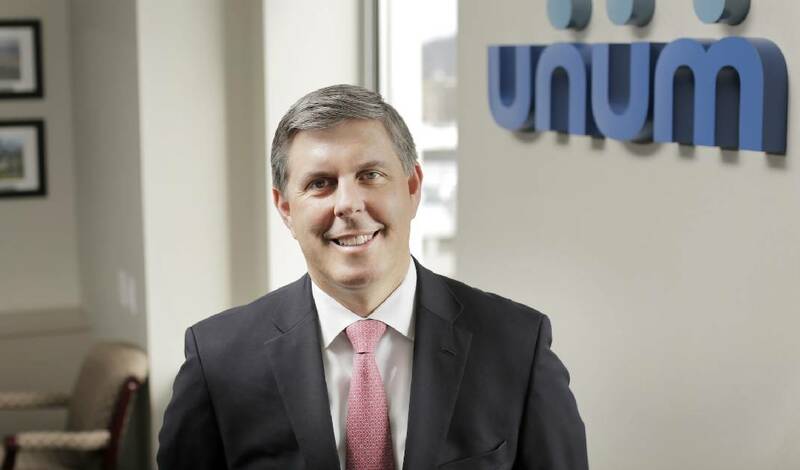 Rick McKenney is succeeding Tom Watjen as Unum's CEO. Many of Chattanooga's biggest businesses got a new top boss in 2015. In the past year, new CEOs joined Chattanooga's biggest publicly traded company, its biggest private employer and its largest community college. New leaders also took charge in the past year at one of Chattanooga's biggest local hospitals, two of the city's oldest businesses, two of the biggest charities and the biggest power plant. Richard "Rick" McKenney assumed the role of CEO at Unum, the world's biggest disability insurer and the biggest publicly traded company in Chattanooga. McKenney moved to the top spot from chief financial officer. Tom Watjen, who held the CEO post for more than a dozen years, retired. Watjen is serving as chairman of the board of directors for the next two years. Chattanooga's biggest private employer got a new boss in the fall of 2015. Dr. J.D. Hickey replaced the retiring Bill Gracey as CEO of BlueCross BlueShield of Tennessee, the state's biggest health insurer. Hickey is a lawyer and a medical doctor who used both skills to turn around Tennessee's Medicaid program and other businesses as TennCare director in Nashville and a partner in McKinsey & Co. in Washington. He joined BlueCross in 2011 as chief operating officer. On Monday, Larry Schumacher will assume the top job at CHI Memorial Hospital. The new Memorial CEO comes from Hospital Sisters Health System in Springfield, Ill., where he served as system chief operating officer for the past eight years. Prior to that, Schumacher served as president and chief executive officer of Via Christi Health Network in Wichita, Kan. At Memorial, he fills the vacancy created when Jim Hopson retired last year. Chattanooga State Community College President Flora Tydings speaks during in a signing ceremony on Wednesday, Aug. 12, 2015, at the UTC campus in Chattanooga, Tenn. The two institutions are enacting a dual admission agreement that allows students to apply for admission simultaneously at both campuses while pursuing an associate's degree from Chattanooga State that guarantees admission to UTC upon completion. 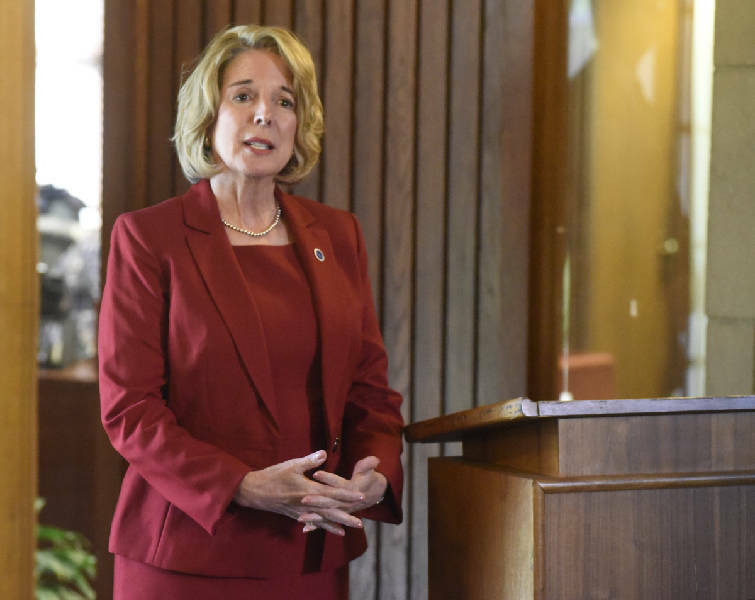 Dr. Flora Tydings, formerly the president at Athens Technical College in Northeast Georgia, became president of Chattanooga State Community College in July. She succeeds Jim Catanzaro, who stepped down earlier last year under pressure after 24 years of running Chattanooga's biggest community college. During Tydings tenure at Athens Tech, she helped raise more than $30 million in private gifts and public grants. Robert Long succeeded longtime Chattem CEO Zan Guerry, who is continuing to serve as chairman of the Chattanooga-based consumer health care business owned by pharmaceutical giant Sanofi. Long had been named Chattem's president in July 2014. He joined Chattem in 2006 and had been its chief financial officer and an executive vice president. Valoria Armstrong became the first woman president of Chattanooga's water utility, Tennessee American Water Co., in November. She replaced Deron Allen, who was named president of Indiana American Water. A native of Tennessee, Armstrong most recently served as the human resources director for American Water in several states, including Tennessee, Kentucky, Illinois, Iowa, Indiana, Michigan and Missouri. In April, Scearce was selected this spring to succeed Eva Dillard as president and CEO of United Way of Greater Chattanooga. Scearce is a Chattanooga native, who holds a bachelor's from Richmond University and a master's from the University of Tennessee at Chattanooga. Scearce led Chattanooga-based youth development organization On Point for 13 years as president and CEO. Rob Bradham, the Chattanooga Area Chamber of Commerce's vice president of public strategies for five years, was named CEO of the Greater Dalton, Ga., Chamber of Commerce. Bradham, who came to Chattanooga after serving as senior vice president of business development and government affairs for the Greater Richmond Chamber of Commerce in Virginia, replaced Brian Anderson. He left Dalton to head the Chamber of Commerce in Columbus, Ga.
Virginia Anne Sharber was named to the top spot at the Hunter Museum of American Art earlier this year, following a nationwide search for outgoing director Dan Stetson. Sharber — a former partner at Miller & Martin and former chairman of the ArtsBuild and Holmberg Arts Leadership Guild, among others — took over the Hunter Museum post full-time, after serving as interim director. She is also currently chairwoman of the Public Art Committee. She is the first woman to hold the Hunter Museum's executive director position. Christopher Schwarz, formerly vice president of corporate operations at Public Service Enterprise Group Nuclear, took over as site director of the Sequoyah Nuclear Power Plant in November. He succeeded the retiring John Carlin as head of the biggest power plant in Chattanooga. Schwarz has 41 years of experience in the nuclear power industry.